If you are a tech head, geek, or just a regular pc user, you’ve probably amassed quite a collection of miscellaneous cables that you aren’t currently using, but might need later on. I’ve got dozens and dozens of them. Keep them organized and tangle-free with a few toilet paper tubes in a box or drawer. You could store quite a few cable if you stored them vertically in your box or drawer, but that is far more organised than I want to be. 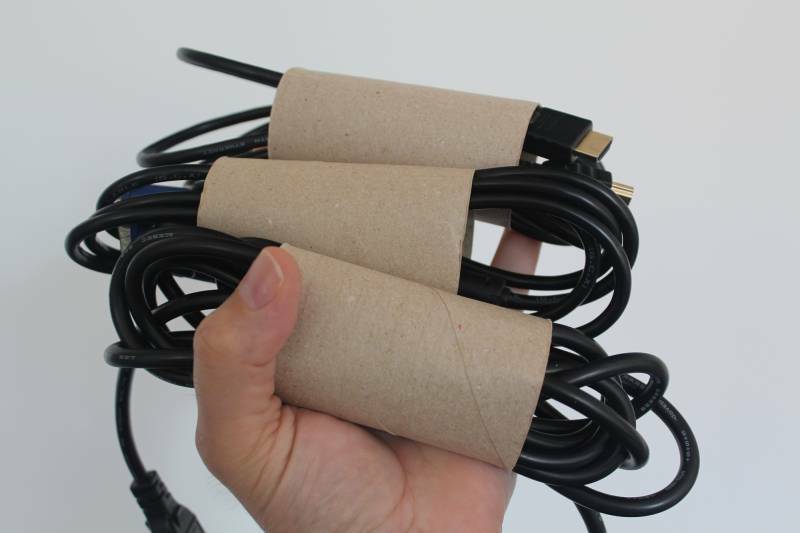 Even try taping the tubes together, and labelling the ends of each of the cables. Once you get your cables organised, and taking up less room, there’s now an excuse to add a cable to your collection.